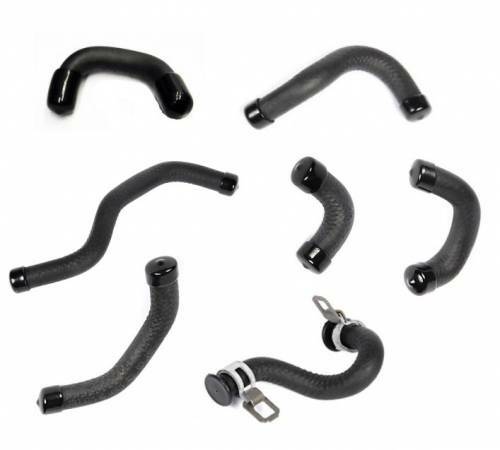 This kit will have all of your low pressure factory rubber fuel lines for 2012-2016 LML Duramax Diesel pickups. Regulator vacuum hoses also included. These lines often will crack or leak, and if you are servicing one line, its always a good idea to replace the set. Our shop uses this kit regularly during any major component failure replacement or upgrade. In the event you want to replace those relaxed, rusty clamps too, please see GM 97329628 for fuel hoses and GM 12641250 for the small regulator hose. Note: This kit will work for 2011 LML trucks but is lacking two hoses specific to the 2011 which are N/A from GM.